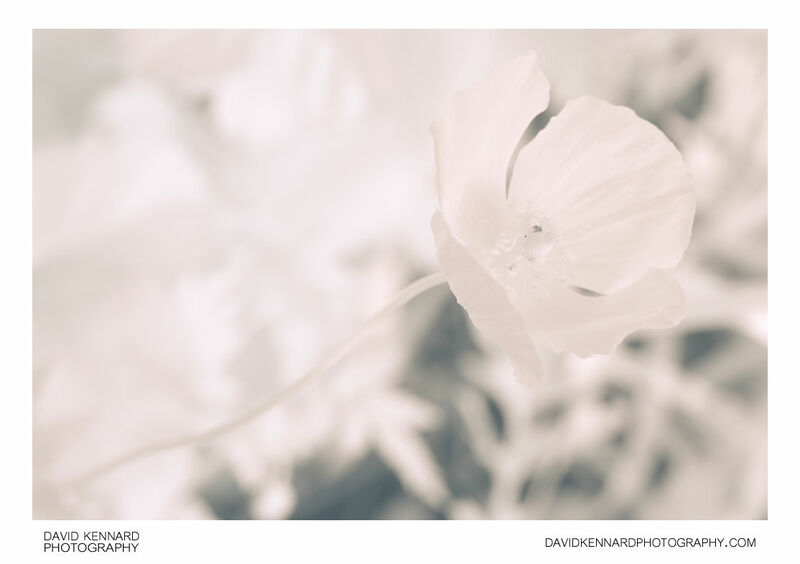 Infrared photograph of a flowering Orange Welsh Poppy (Meconopsis cambrica var. aurantiaca). The flower and the leaves in the background both reflect approximately the same amount of infrared light, meaning they both appear as bright as each other. Whereas under visible light the flower reflects much more light than the foliage, appearing much brighter than the leaves.